Belden's unique Early Career Leadership Program (ECLP) is a three year, cohort-based development plan for recently graduated seniors looking to jump start their careers. As one of our "class", you'll have regular opportunities to connect with peers while participating in a challenging, highly interactive, and action based learning curriculum. Belden recognized my hard work, results and desire for advancement. I received many opportunities that have kept me challenged, motivated and learning. I felt like I had a voice from Day 1 of my internship. It wasn't some simple intern project—it was the opportunity to make a real impact on the business, grow as an individual, and contribute to an amazing team. When a company strives to be better today than it was yesterday, every role becomes an important piece to the company's success. To me, there's nothing more rewarding than knowing my work played a part in the bigger picture. We are looking for talented, driven and passionate people who aspire to lead others in a finance arena and are excited to join an early career program that offers robust hands-on development over a three year duration. From day one, you will become an active member of our finance and accounting team. Working on a role rotation basis you will have the opportunity to get exposure to our different brands, businesses and technologies. As one of our class of 2022, you will have regular opportunities to connect with peers from other Belden early career functional leadership programs as you participate in a highly interactive and action based learning curriculum. The content of this curriculum will be designed to build your knowledge of our core business systems, develop your business acumen, and create a strong foundation for your finance and leadership skills. Team members will also receive individualized feedback throughout the program along with the mentoring support of a leader in Belden. Positions within the Finance & Accounting Early Career Leadership Program will be based out of our facilities in Richmond, IN; Indianapolis, IN; Syracuse, NY; Elizabeth, NJ; St. Louis, MO; Washington, PA; Fremont, CA; Grass Valley, CA; Tijuana, Mexico; Nogales, Mexico; and Cobourg, Ontario. We are looking for talented, driven and passionate people who aspire to lead others in a commercial function and are excited to join an early career program that offers robust hands-on development over a three year duration. From day one, you will become an active member of our commercial teams. Working on a role rotation basis you will have the opportunity to get exposure to our different brands, businesses and technologies. 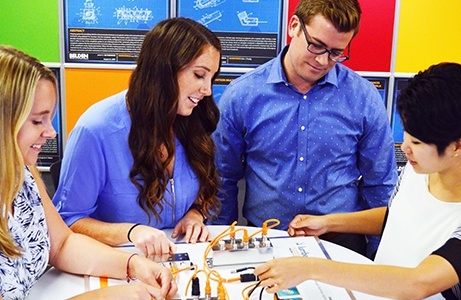 As one of our class of 2022 you will have regular opportunities to connect with peers from other Belden functional leadership programs as you participate in a highly interactive and action based learning curriculum. The content of this curriculum will be designed to build your knowledge of our core business systems, develop your business acumen, and create a strong foundation for your commercial and leadership skills. Team members will also receive individualized feedback throughout the program along with the mentoring support of a leader in Belden. The majority of positions within the Commercial Leadership Program will be based out of our facilities in Indianapolis, Indiana; Fremont, California; Syracuse, NY; Elizabeth, New Jersey; or Montreal, Canada with other possible locations across North America. We are looking for talented, driven and passionate people who aspire to lead others in a broad General Management capacity; leading multi-functional teams and making decisions that drive a business division forward. To support this career goal we are launching a new early career program that will offer successful candidates robust, challenging, hands-on development over a three year duration. Positions within the General Management Leadership Program will be based out of our facilities in Indianapolis, Indiana; Fremont, California; Syracuse, New York; or Montreal, Canada with other possible locations across the globe. We are looking for talented, driven and passionate people who aspire to lead others in the R&D function and are excited to join an early career program that offers robust hands-on development over a three year duration. From day one, you will become an active member of our R&D team with clear set of deliverables and accountabilities. As one of our class of 2022, you will also have regular opportunities to connect with peers from other Belden early career functional leadership programs as you participate in a highly interactive and action based learning curriculum. The content of this curriculum will be designed to build your knowledge of our core business systems, develop your business acumen, and create a strong foundation for your functional and leadership skills. Team members will also receive individualized feedback throughout the program along with the mentoring support of a leader in Belden. 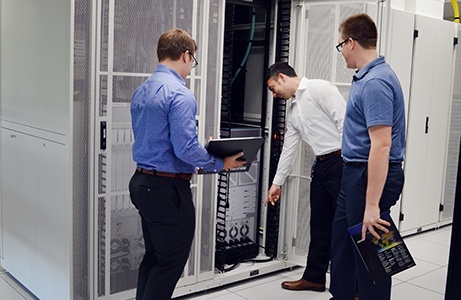 The majority of positions within the R&D Early Career Leadership Program will be with our wire and cable business based out of our facilities in Richmond, Indiana. We are looking for talented, driven and passionate people who aspire to lead others in the IT world and are excited to join an early career program that offers robust hands-on development over a three year duration. From day one, you will become an active member of our IT team with clear set of deliverables and accountabilities. 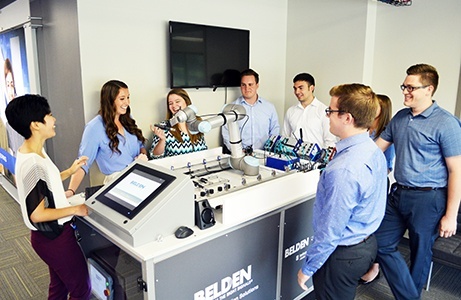 As one of our class of 2022, you will also have regular opportunities to connect with peers from other Belden functional leadership programs as you participate in a highly interactive and action based learning curriculum. The content of this curriculum will be designed to build your knowledge of our core business systems, develop your business acumen, and create a strong foundation for your functional and leadership skills. Team members will also receive individualized feedback throughout the program along with the mentoring support of a leader in Belden. The majority of positions within the IT Leadership Program will be based out of our facilities in Richmond, Indiana. We are looking for talented, driven and passionate people who aspire to lead others in the Operations & Supply Chain function and are excited to join an early career program that offers robust hands-on development over a three year duration. From day one, you will become an active member of our Operations & Supply Chain team. Working on a role rotation basis you will have the opportunity to get exposure to our different brands, businesses and technologies. 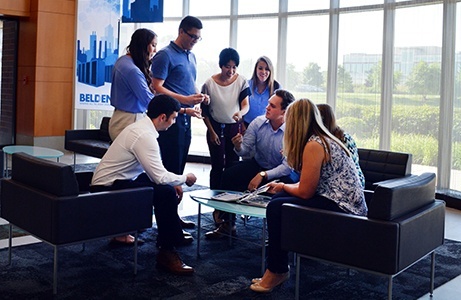 As one of our class of 2022, you will have regular opportunities to connect with peers from other Belden functional leadership programs as you participate in a highly interactive and action based learning curriculum. The content of this curriculum will be designed to build your knowledge of our core business systems, develop your business acumen, and create a strong foundation for your functional and leadership skills. Team members will also receive individualized feedback throughout the program along with the mentoring support of a leader in Belden. The majority of positions within the Operations & Supply Chain Leadership Program will be based out of our facilities in Richmond, Indiana with other locations including Syracuse, NY; Elizabeth, NJ; Washington, PA; Tijuana, Mexico; Nogales, Mexico; and Cobourg, Ontario. We are looking for talented, driven and passionate people who aspire to lead others in the Human Resources arena and are excited to join an early career program that offers robust hands-on development over a three year duration. From day one, you will become an active member of our Human Resources team, gaining experience in employee relations, compensation, benefits, talent management, compliance, etc. Working on a role rotation basis you will have the opportunity to get exposure to our different brands, businesses and technologies. 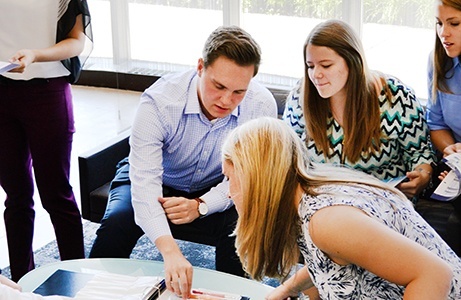 As one of our class of 2022, you will have regular opportunities to connect with peers from other Belden early career functional leadership programs as you participate in a highly interactive and action based learning curriculum. The content of this curriculum will be designed to build your knowledge of our core business systems, develop your business acumen, and create a strong foundation for your finance and leadership skills. Team members will also receive individualized feedback throughout the program along with the mentoring support of a leader in Belden. Positions within the Human Resources Early Career Leadership Program will be based out of our facilities in Richmond, Indiana, Indianapolis, Indiana, Syracuse, NY; Elizabeth, NJ; St. Louis, MO; Washington, PA; Fremont, CA; Grass Valley, CA.